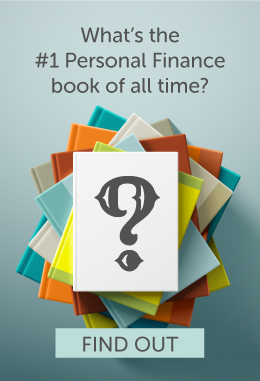 Get your finances from "0" to "Hero"
Charles Schwab, the man behind Schwab Intelligent Portfolios, started his career in the field of finances forty years ago when he opened a discount brokerage company. Since then, he has gathered experience regarding affordable trading using an online platform. That is why the creation of Schwab Intelligent Portfolios in 2015 left everyone in the financial sector anticipating its features and benefits. The anticipation grew further when this robo-advisor service was announced to be free. Today, we are going to look at this intelligent advisor and see what are its main features and its pros and cons. The Schwab Intelligent Portfolios service is targeted to people who are just starting their journey in the world of investments. It is for people who need some guidance without paying a large sum of money. In what concerns the main features of this service, the first thing worth mentioning is the fact that they offer many exchange-traded funds, more specifically 54. These funds cover 20 asset classes, so you can choose between REITs, stocks, commodities, bonds, emerging markets, and more. When it comes to the possibility of diversifying your portfolio, you should keep in mind Schwab Intelligent Portfolio’s superiority. However, diversity is not the only thing this service prides itself with. You also get to automatically rebalance your portfolio. This is great for people who don’t want to risk a lot when the market changes. The extremely desirable tax-loss harvesting feature is also available here. That is as long as your account has at least $50.000 in it. A lot of people also praise the Intelligent Portfolios Schwab feature because it allows them to customize their account as they like. You are in control of what happens to your portfolio. Consequently, you can choose to replace a maximum of three ETFs with other types of investments. You have this option in case you are not satisfied with the portfolio they choose for you. We should definitely also mention the Goal Tracker feature that helps you take a look at your portfolio every single day. You can use it and check if everything is working properly and in sync with your personal goals. The company uses the Monte Carlo simulation. This is a tool that tells you when you are at risk, off target, or on target. Now, you should know that at risk means that your chances of reaching your goals are somewhere between 25% and 50%. Being off target shows a chance of less than 25%. Finally, being on target means that your chances are higher than 50%. You can access your Schwab Intelligent Portfolios account by using their app which is available both on iOS and Android. Moreover, their customer service is ready to answer any questions you might have at all times. If you were wondering about insurance, you should know that you get the SIPC insurance that protects your assets. In order to open an account, you have to have at least $5.000. This can seem expensive for some people. However, if you think about the fact that there are no service fees or commissions, the investment might be worth it. Once you do decide to sign up, you will have to fill out a questionnaire. Your answers will determine your goals, your time frame, and risk profile. Then, all you have to do is wait for their algorithm to come up with the best asset allocation for you. One of the most exciting features of Schwab Intelligent Portfolios is the fact that they offer tax-loss harvesting. This is something not all similar services offer. If you have at least $50.000 in your account you can benefit from this feature whenever you want. Whenever there is something wrong with your portfolio or the market, this service can tell that your goals are no longer prioritized. Since they want to make sure that your goals always come first, they rebalance your portfolio automatically. They can do this when the market shifts or you have met a threshold. 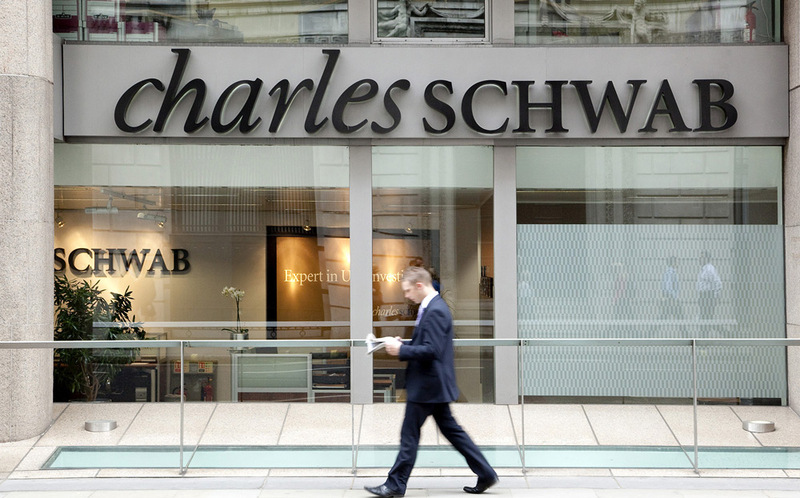 Almost all of the ETFs available to you are Charles Schwab. This is great news if you like all inclusive investing and keeping all of your funds in the same area of interest. When this service came out, people were most excited about the no fees feature. This was especially true of people who didn’t have that much money to invest and were just looking to test out an online financial advisor service. It is indeed true that you don’t have to pay any extra fees apart from the ones related to your ETFs that you have to pay every year. However, it is also an exaggeration to call this service free. We are going to see why in the cons section. Before we get into the cons of Schwab Intelligent Portfolios, it is also worth mentioning that a clear pro is the possibility to remove three of your ETFs and replace them with others. This is quite a unique feature compared to what other competitors offer. One of the things that might cause some concern in possible Schwab clients is the fact that you can’t fraction your shares. You have to round down all of the investments you make to whatever whole share is nearest at that time. The way the company presents itself requires some clarification in what concerns the amount of money that clients have to pay. It is true that you pay no commissions, advisory fees, or account maintenance fees. However, every client has to pay individual operating fees for every ETF in their portfolio. These fees can be really cheap (0.04%) or really expensive (0.48%), depending on the investments you have in your portfolio. One of the biggest complaints when it comes to Schwab Intelligent Portfolios is the fact that they allocate a large sum of money to cash. The allocation can go between 6% and 29.4% and it earns zero interest. 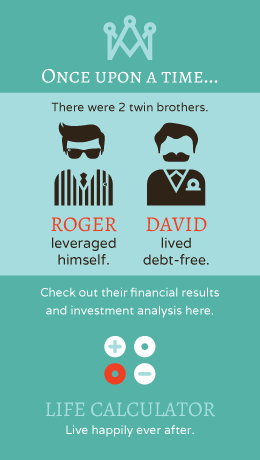 In the long run, this strategy might minimize your returns. All in all, the Schwab Intelligent Portfolios service is extremely useful for people who don’t have that much money and want to test out such a service. Even though it is not completely free, it is significantly cheaper than some of its competitors. Moreover, the features that they provide are really great, especially the customizability of the accounts and the Goal Tracking tool. So if you are looking for a convenient and easy-to-use online financial advisor, Schwab Intelligent Portfolios is definitely worth your time. Learning How to Make a Budget That Actually Works! REI Credit Card: Is It Really Worth Applying For? Why WealthMaverick.com? We want to create a singular place online to access practical information on understanding the ramifications of debt with your financial life. We hope you find this site useful and if there is anything we can do to make it better, please let us know.